Our product range includes a wide range of brother ferrule printing machine pt-e800t, ferrule printing machine max, brother pt-e850tkw ferrule printing machine and brother pt-e850tkwli max canon ferrule printing machine. 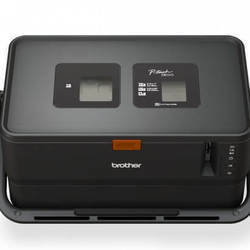 Brother Ferrule Printing Machine PT-E800T PC connectivity _Industrial tube and label printer designed to meet the diverse needs of electricians. 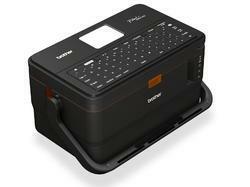 These printing devices are improved with more functionality & models. We have trusted names in offering the wide range of Ferrule & Label Printing Device for Sleeves & Self Adhesive Tapes, also it is used in making of a barcode. They find high usage in self-adhesive labels for control panels. These products are widely used by control panel manufacturers, instrumentation contractors, offshore contractors & maintenance departments. The spectrum of clients includes L&T, Siemens, Honeywell, Tata Power, BARC, Railways, ABB etc. 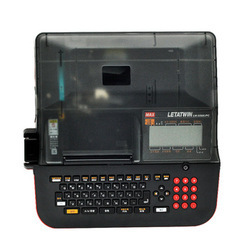 Max Letatwin LM-390 A / PC - This is the latest version of PC Connectivity. Here you can give print command direct from PC with a Software given by Machine. We are offering world class Japanese technology Ferrule - Laminated Labeling Machine to our clients. We hold expertise in manufacturing, exporting, importing and supplying an exclusive series of om Brother PT-E850TKWLI Max Canon Ferrule Printing Machine.